Don't think we need bird baths here at the moment, probably bird towels would be more appropriate. Anyway, that another stitched block done, so that means I need to applique them and get some more broken dish blocks made. And bird umbrellas if its anything like it is here at the moment! This is a very pretty design. 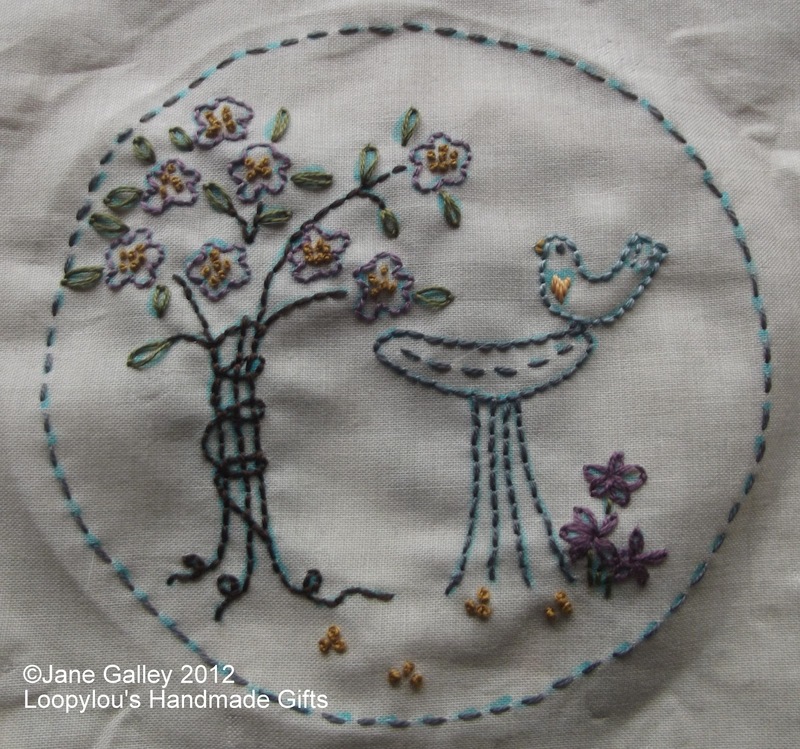 I love the simplicity of these stitcheries...they showcase the colours and your exquisite needlework. Very nice. I think that ducks will become common garden birds soon! You know..... every one of these adorable stitcheries you post gets me more and more intrigued about picking up the craft. It's lovely! How many more blocks are there to stitch? It's such a cheerful piece of needlework. so very lovely! I know what you mean about bird towels...have you seen the forecast for the next couple of days? It's horrendous.